I read this article and wanted to share it with you: "I'm a teacher. I would never homeschool." https://blog.sonlight.com/im-a-teacher-i-would-never-homeschool.html. A friend shot me a link to the current quora thread If given a choice, will you homeschool your child? Why? I entered public school in 5th grade. It was traumatizing. I had no idea how cruel kids could be in general, and as an outsider, that cruelty was very quickly turned towards me. I'm 35 and I still have social anxiety that I believe started when I entered public school. Reading that, I was totally confused as to why he also said, "I can't imagine homeschooling." Why in the world would you toss your children into a system that traumatized you? Please, don't. Homeschool instead. It's awesome. It's good for your kids. It's good for you. The most popular comment is from David Stewart. He is a special needs teacher, which I believe significantly skews his perception. Let's dig into why. 1. It's hard on kids returning to school after homeschooling has proven to not be a viable option. This is based on his first hand experience (read: with special needs students). Special needs issues are multi-faceting, difficult, and have no easy answers. I know homeschoolers who homeschool their special needs students because the schools did a terrible job and created a very harmful environment. I also know homeschoolers who don't homeschool their special needs children because the schools offer a better environment. I'm not anti-school. But any transition in schooling -- ignoring the special needs element -- leaves kids reeling. Why do you think there are so many novels and movies about switching to a new school? It's difficult! David is right: It's not pretty when homeschooling collapses for a family for one reason or another. But that's hardly a reason not to homeschool! Car crashes aren't pretty, but we still drive because of all the benefits it affords us. Same here. 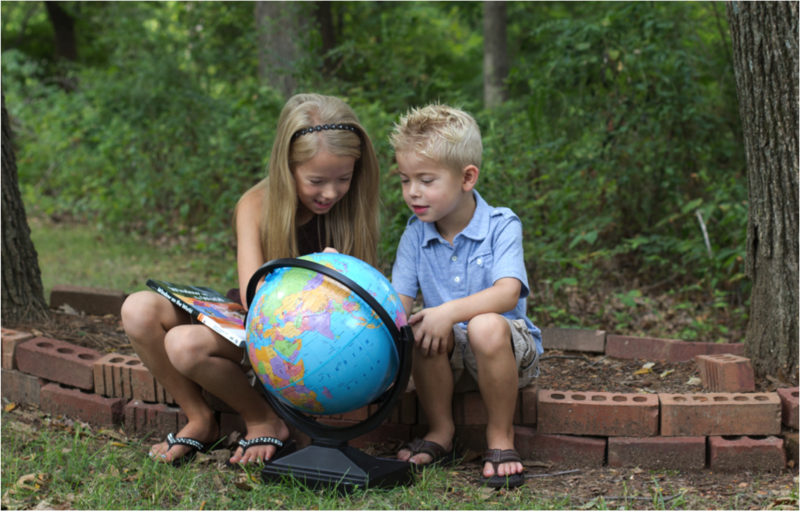 Homeschooling is awesome, but there are extreme cases where things aren't awesome. My guess: It's not awesome at school in those cases either, hence David's negative outlook. 2. There are large gaps in my educational knowledge. And I can see how, in a highly specialized field of working with special needs, this matters a ton. Resources and training are helpful. And that's what we parents do with our own children! My wife and I took classes when we were in the adoption process. Parents read parenting books and pregnancy books and talk to friends and family and look stuff up online when their child exhibits a new behavior that they don't know how to handle. We learn all the time because we specialize in our own children. No other expert does that. As far as not knowing stuff, two things to come to mind: 1. That just shows that you don't learn everything in school; and 2. You can learn and teach your children stuff you didn't learn the first time around. Seriously. And, by the way, it's awesome. Homeschooling is awesome. 3. I know homeschooling is no match for an expert in a classroom. First, how does he know this? But, secondly, even if that is true, it's not reality. See, I get to talk to real teachers from the real world who teach in real classrooms, and their experience is more like this. The idea of every classroom led by an excellent professional dedicated to teaching in the field is a fantasy. Even my fantastic private university had some terrible teachers. I also suggest you swing by my short series on educators. 4. I've seen homeschool kids entering school really struggle. Well, my own experience going from homeschool to public school was the opposite. What now? Whose anecdote do we accept as "reality" by which we should base our decisions? Rather than play that silly game, I simply contend this: Homeschooling lets you learn how to learn. You will succeed in whatever environment you get placed in, unless, of course, you've learned that schools can be silly and you have better priorities. Oh, you're talking about socialization ills? Gotcha. Yeah. Homeschool. 6. You can't shelter children forever! Nope. You can't. But homeschooling is awesome because of what it's like to live a sheltered life while homeschooling. Can you do the shelter thing wrong? Absolutely. Don't do that. Instead, use the fantastic benefits of homeschooling to prepare your children for life. 7. It's vital children receive input that's not just my own. Totally agree. But homeschooling does not stop you from enjoying all the benefits of multiple teachers. There's more. There's much more to be said about homeschooling. This blog is packed with posts about learning both at home at and school and the interplay between the two. The bottom line: Homeschooling is awesome. I'm a teacher, and homeschooling ruined me! Seriously. I taught in public and private schools before my children were born, and then ate my anti-homeschooling words when the local school just wasn't working for them. (They felt "stupid." In first and second grades!) I was blessed to see my children blossom in homeschool, as they gained skill and confidence in their own abilities. They decided to go back to public school after six years with me, and hit the ground running, making great friends, earning straight A's, and graduating high school with high honors and excellent scholarships. They are both now at the University of Arizona making excellent grades and studying in STEM fields, as well as working on campus in research laboratories. Thank you so much for sharing, Jeanne! I'm so glad you had the chance to homeschool and are now using that experience to bless others [smile]. Awesome!